The 2016 City Series lineup presents the chance to dominate the eastern seaboard, as Newport will face top contenders from up and down the East Coast, where American polo has its major hubs and highest concentration of players. Boston, the longest standing rival, became the first city challenger in 2011, and kicks-off the City Series on June 25th. The Newport-Boston rivalry dates back to the nation’s settling when colonist left Boston to form a tolerance-based community on Aquidneck Island. Today, the two teams remain locked in an annual duel, vying for the prestigious Shreve Crump & Low Cup. Pittsburgh, celebrating its bicentennial, is fielding a polo team for a first-time challenge to Newport. Pittsburgh rose to prominence as the world center for production of iron and steel. Team Newport is on notice for the July 16th matchup with Pittsburgh out to prove its metal in its City Series debut. Built as a social epicenter in the Gilded Age, Palm Beach became a second playground for American polo, making Florida one of the epicenters for polo in the U.S. Palm Beach may have a breezy and care free reputation, but a victory on July 30th will be hard fought by Newport, facing one of the season’s strongest teams. Polo in Newport and New York is forever linked as loyalties for both are intertwined from the earliest days of polo in America. Today, players and fans from the big city return to America’s first resort for an electrifying game that always end with one of the season’s highest scores. It’s Newport with a lot to regain on August 13th after upsets by New York two years running. Once the nation’s capital, Philadelphia maintains its gravitas as a perennial favorite in the City Series lineup. While the two teams create sparks on the field, their duel is quite civilized as lady luck has traded off the victories for each. It will be on Newport to break the cycle on August 27th, since Philly is due to reclaim the trophy. 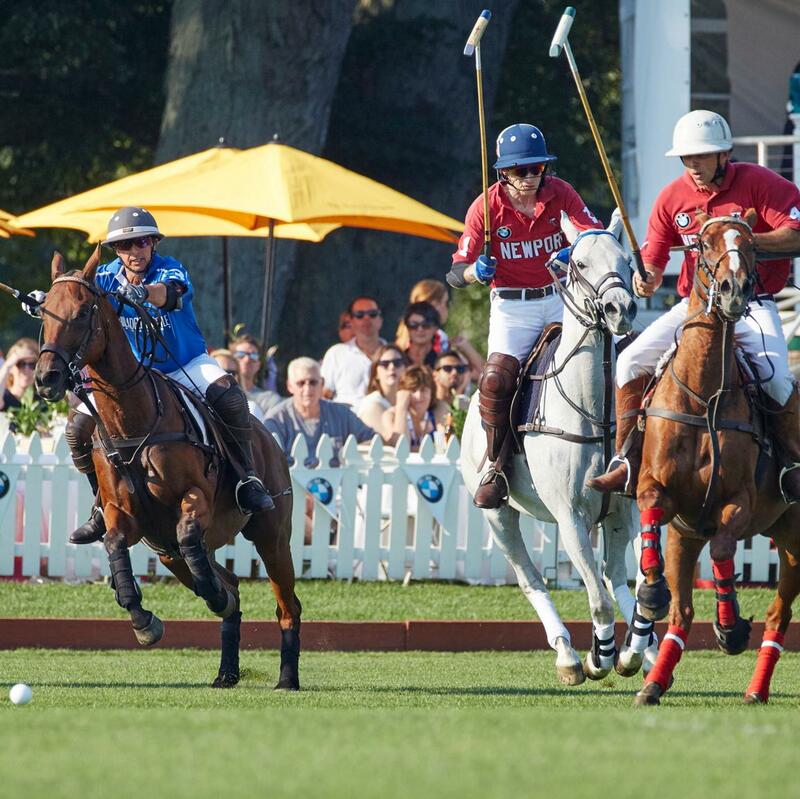 Launched as part of the 20th anniversary season, fans can witness the 5 rivalries unfold from the best seats in the house, in the Positive Energy Polo Lounge, a chic entertainment enclave hosted by ALEX AND ANI exclusively for City Series matches. Subscribe to receive season updates with invitations, score cards, announcements, and Newport Polo’s Lifestyle Magazine. Schedule & Tickets. The City Series will have hosted teams from Boston, Dallas, New York, Washington D.C., Palm Beach, Philadelphia, Baltimore and Pittsburg.